Please welcome two new guests. Starting from the left to the right: a Mickey Mouse cactus and a rubber plant, courtesy of the San Francisco Flower Mart. I’ve been on a hunt for new houseplants and had a field day making my selections. 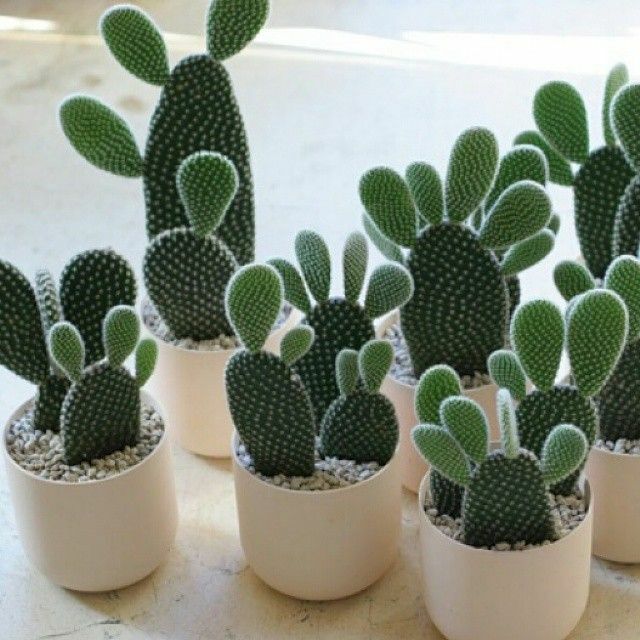 The disc-like shape of the Mickey Mouse cactus was comical and unexpected at first sight. After chatting with the shopkeeper, I learned that the cactus will grow ears. The number of ears is a mystery but a Google image search yields humorous and unpredictable results (Mutant Mickeys!). I also learned that each ear can propagate when cut from the main cactus pad so I’m wondering how many Mickeys can be made by the end of the year. As far as the rubber plant goes, the maintenance is a bit different from some of my other houseplants. In addition to watering the plant, it is common to wipe down its leaves as they are thick and rubbery and have a tendency to collect dust and residue from the elements. In a way, this plant feels a bit like furniture. Kind of gross, kind of gorgeous. 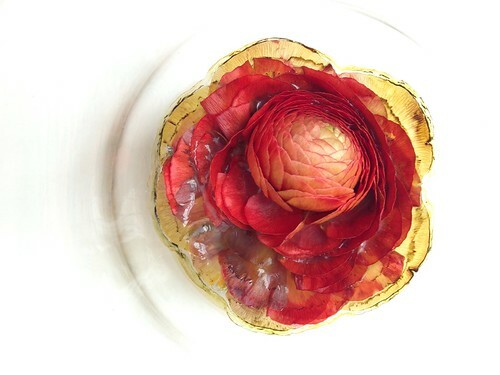 I left this red ranunculus blossom in a water glass on my office windowsill over the weekend. Today I found it had drunk all the water and stuck itself to the bottom of the glass in a surprising way. Beautiful decay? Or just slimy? In a charming plant-themed café in northeastern Kyoto, even the bathroom sink was made of wood and adorned with a fresh hydrangea wreath and a rosemary sprig. My host in Kyoto has a yuzu tree in her garden. I have tree envy.